I Have Used Only CSS, friends! 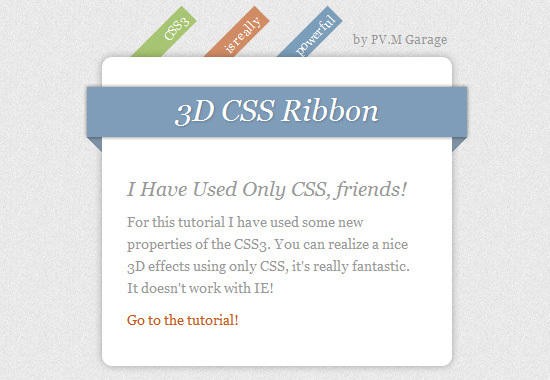 For this tutorial I have used some new properties of the CSS3. You can realize a nice 3D effect using only CSS, it's really fantastic. It doesn't work with IE!